Over 50 percent of smog or emission test failures are caused by malfunctioned o2 sensors. A bad oxygen sensor can literally drain your pocket due to the negative impact it can have on your vehicle. Therefore, it is vital that you know how to test your oxygen sensor to determine whether it is working well or is faulty. 3 O2 sensor: What is it for? Insert the OBD2 scan tool connector to the diagnostic link connector (DLC) on your vehicle. The DLC has 16 pins and is shaped almost like a triangle. If you cannot find it, you can search for its location using your web browser and ensure you have specified your car’s model. Turn on your vehicle’s engine so that the scanner can communicate with the vehicle’s onboard system. Ensure you do not start the car’s engine, only turn on the ignition. If the scanner is blank after doing this, try reconnecting it or shaking it a bit. In some scanners, you will be required to key in your vehicle’s identification number. Additionally, you may be prompted to key in the vehicle’s make and model. This process may not be present in some scanners. After the scanner boots, go to the menu and select ‘Trouble Codes’ or ‘Codes’. Choose the system you would like to troubleshoot. 2 or more codes will appear on your screen after this process. The codes that appear can either be Pending codes or Active codes. These are the most common types of codes. However, there are other types of codes. Active codes are also known as live codes and they keep the Check Engine Light on. They imply there is a problem with the system and it needs to be solved. Pending codes indicate a pending problem. It shows that the operation of an emission control system failed once and if it fails again the Check Engine Light will be turned on. Once it is turned on, the pending code becomes an active code. Interpret the code. The OBD2 scan tool will diagnose the problem and reveal it in code. If you are not familiar with interpreting these codes, you can search for them on the internet. While on the internet, you can also search for how to interpret various codes so that it becomes easier the next time you are using the OBD2 scan tool. O2 Sensor Codes include P0030, P0031, P0036, P0037, P0130, P0131, P0132, P0133, P0134, and P0135. To know exactly what each code means, use the DTC Look-up Library of your scan tool or go to OBD2 Codes, search the codes you have on the “Search Box”. You will find the Meaning, Symptoms, Causes and Diagnostic Steps of the codes you have. O2 sensor: What is it for? An oxygen sensor is located in the exhaust stream. It is used to monitor in real time the ratio of air/fuel to determine whether it is lean or rich. This is done by measuring the amount of oxygen in the liquid or gas passing through the exhaust manifold. Many people misunderstand the measuring process. The sensor does not measure the concentration of oxygen. Rather, it measures the difference between oxygen in the air and oxygen in the exhaust gas. Apart from determining the air/fuel ratio, an o2 sensor can also determine whether the catalytic converter is working well. The sensor can adjust the air/fuel ratio to ensure the catalytic converter is working efficiently. Once the ratio is determined, a voltage is created and it flows through the o2 sensor, sending the reading to the CPU. The CPU then adjusts the ratio according to what is appropriate. This reduces exhaust emissions thus contributing to a healthier environment. Tampering with the o2 sensor signal could negatively affect emissions control since it controls emissions. Additionally, it can also cause damage to the vehicle. 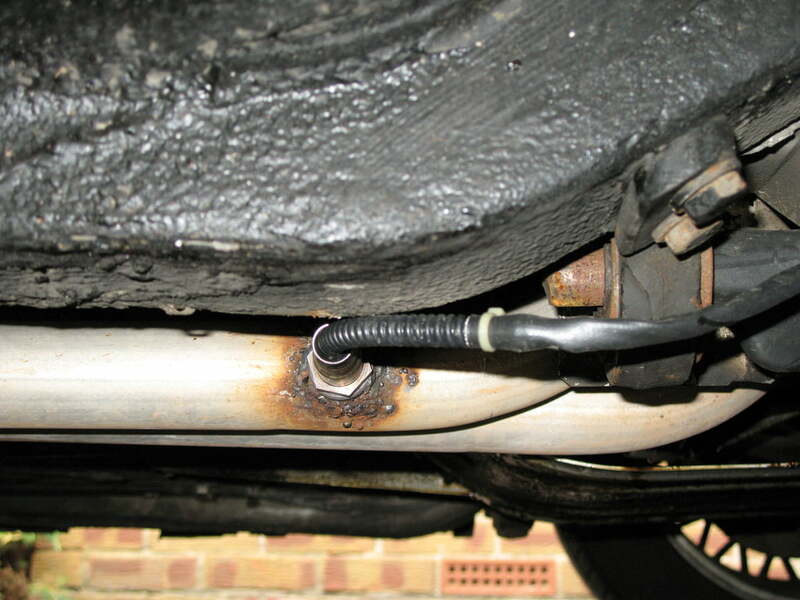 For example, a faulty o2 sensor can damage the catalytic converter. Heated oxygen sensors are found in modern vehicles, from the 1990 models up to present. Oxygen sensors can either be heated or unheated. However, in modern times, heated oxygen sensors are more common in vehicles. Unheated oxygen sensors are found in old vehicles, up to the 1990 models. These sensors need to be replaced more often compared to heated oxygen sensors. It is advised that the sensors be replaced after every 30,000 to 50,000 miles. Heated oxygen sensors are found in modern vehicles, from the 1990 models up to present. These sensors are more durable and should be replaced after every 60,000 to 90,000 miles. Since oxygen sensors are exposed to harsh conditions, they should be replaced at the appropriate time to avoid problems. When the o2 sensor has malfunctioned, a strong, unpleasant odor will emanate from the exhaust. If the problem is not dealt with immediately, the smell could even spread to the vehicle’s interior. This would be such an embarrassing situation. The Check Engine Light is an indication that there is a problem with the vehicle. The Check Engine Light is an indication that there is a problem with the vehicle. Although it does not specifically mean that the problem lies with the oxygen sensor, there is a possibility the o2 sensor has a problem. Always get your vehicle checked immediately you notice the light is on. Your vehicle will generally reduce its performance in various areas. You may experience engine stalling and weak acceleration. Additionally, you may notice the engine runs roughly or irregularly even when it is idle. Have you noticed you fill up your gas tank more often than you usually do? This may be due to bad gas mileage. When the oxygen sensor fails to work effectively, the mixture of fuel and air will be rich. A rich mixture of fuel and air means more gas is consumed during the process of internal combustion. This means a higher fuel consumption of gas and digging deeper into your pockets. Never ignore any signs of failure of the oxygen sensor. The earlier the problem is diagnosed the better. Solving o2 sensor problems early will enable you to save financially since little to no damage would have been done to the vehicle. Additionally, you will save on the amount of gas you use while driving. If you find it difficult to use the OBD scan tool, take your car to a good mechanic to check it out. Engine Immobilizer: What is it? ANCEL AD310 Classic OBDII Scan Tool is one of the latest ANCEL product with great functionality of reading and erasing all trouble codes. 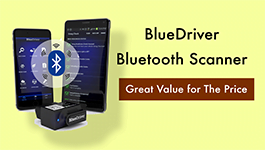 INNOVA 3120 is one of the best OBD1 & 2 Car Diagnostic Scan Tool in the market. In this review, you will find all the pros and cons of this Scanner. The NEXPEAK NX501 OBD2 Scanner is a car fault code reader designed for Engine system that can perform FULL 10 OBDII diagnostic Modes. Read the detailed review now. If you are a car owner, a DIY enthusiast, or a mechanic who need a scanner that can do anything you want, ANCEL FX6000 is for you.